It’s been awhile since I posted, hasn’t it? Sorry about that. Things have just been super busy as of late. And by that, I mean this week is my church’s VBS. I’ve been too exhausted to do anything but nap and watch Doctor Who. But today I thought, I haven’t posted recently!, so I made time today to write this. 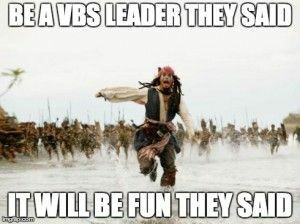 For those of you who aren’t familiar with VBS, it stands for Vacation Bible School. Kids come to church for a couple of hours for the whole week, they’re divided into crews — groups of around five kids, with a crew leader — and the crew goes through several stations during the day. I signed up to be a crew leader this year. All my friends did, too, but they’re working with preschoolers, and I’m with elementary. 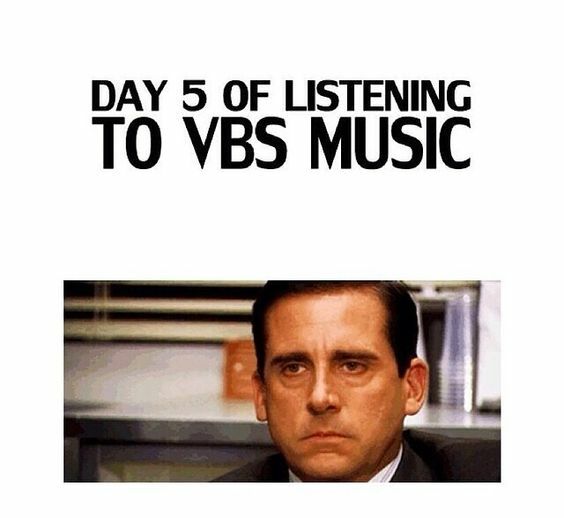 The preschoolers stay separated from the older kids the whole day, so I only get to see my friends in the morning before VBS starts, and at the crew leader meeting at the end. My crew has two leaders: me, and a girl in her late teens named Joelle. I was hoping that I’d be the only leader in my crew, but no such luck. Since I’m not that old, I guess the staff thought I wouldn’t be responsible enough to teach the crew on my own. But I’ve been an assistant crew leader twice! Anyway, my crew has five girls in it. Two — Sherry and Annelie — are really talkitive and energetic (they’re the problem children; they keep running ahead and chatting). Claire I’ve met before, and she’s pretty quiet. Renae is a girl I’ve actually had in my crew two years ago. She’s rather quiet, too. And then there’s Marialena, or “my buddy.” She’d incredibly quiet, and today is the first day that she talked very much. But she’s super sweet, and holds my hand and sits in my lap all the time. At VBS, all the crews gather in a big room at the beginning. The worship team (I was on it last year) runs onto the stage and gets everyone to sing VBS songs. Marialena doesn’t like doing the motions to the songs until I take her hands and make her do them. My dad does that sometimes when we’re in church, but he makes up hand motions. There’s a skit where this guy named Clark Cavern comes onto the stage and learns the day’s Bible Point — “Jesus gives us hope!” and “Jesus gives us courage!” are examples of Bible Points. There’s a video about the Bible Buddy, an animal that goes along with the Bible Point (Sal the Salamander, Mawtha the Moth, and Radar the Bat are the Bible Buddies we’ve met so far). Then everyone leaves the room and goes to their first station. Games might be my least favorite station, just because the games aren’t very fun. Even when I was young enough for VBS, I didn’t like the games. We do stuff like rolling a lemon along a line, pouring cups of water into a pool, and saying the alphabet backwards — LOTS of fun! Back in my VBS days, we would watch a video about a chipmunk puppet named Chatter. Wow, I loved him. Then one year, the replaced him with an animated Chatter, and the next year Chatter was gone forever. Instead, they did KidVid: short videos about real kids. They always relate to the Bible Point. For example, one video was about a girl who donated her hair to cancer patients, which want along with “Jesus gives us hope!” Then a boy survived Hurricane Katrina, but all of things were destroyed — “Jesus gives us courage!” Stuff like that. And the kids in the crews get these dog tags with the Bible Buddy on the front and a verse on the back. Ugh, I hate Snack. It’s even worse than Games. The food is always really disgusting. One day we got soggy frozen waffles with little cups of syrup. Today we got pieces of bread with gross strawberry cream cheese on it, and you were supposed to arrange blueberries, a strawberry, and a thin strip of Twizzler into a compass. Blech. Some days we get to eat inside the church, but sometimes we have to eat outside, under a tent. Each crew has to help make the snack one day . . . mine got to prepare the waffles. We cut the frozen waffles into strips and poured the syrup into plastic dishes. I actually really like the Bible Quest. The Station Leaders teach a Bible story, but they make it interactive. When they were talking about Jesus walking on water, they mixed cornstarch and water together to make this wet sponge-y substance that we could walk on. Sometimes they give us food to eat. And our Station Leader plays a song on his guitar at the end of the lesson. This station is my favorite, and most people agree with me on this. My mom and older brother run Imagination Station. Mom talks about our mission project (Collecting money to send kids in Bangladesh to school, and gathering school supplies for kids in our community), my brother gives a brief geology lesson and does an experiment, and then the kids get “Science-y Fun Gizmos.” The first day was geodes that the kids got to crack open; yesterday was “Cave Snot,” a putty made out of water and some special powder; and today they got to use something called “Direction Doodlers.” You know, those things were you put your pen in the hole of this little gear and move it around in a circle, and it makes cool patterns? I’m not doing a special post for Easter, really. All you get is a cute Pusheen GIF. Why am I doing this post, then? Because I want to tell you a thing. Yesterday, I spent ALL DAY at my church. I was there from 10:00 a.m. to 8:20 p.m. My church wanted to do something special for Easter this year, so they hosted an event called Road to Resurrection. Groups would go through the decorated church, trailing after a tour guide, and “follow Jesus’s footsteps through his last days in Jerusalem” or something like that. My mom signed up to help, and she ran Destination One, which was supposed to take place outside the east gate of Jerusalem. She actually built a really cool gate out of cardboard — keystone, ramparts, and all. And she painted a Roman soldier and a donkey onto cardboard. The donkey was so well done, some people thought it was real! “Nick-i-names?” I’d suggested. The groups would almost always correct us, saying that it was “nicknames,” not nick-i-names. Then my mom would pump up the crowd, get them to wave some paper palms, shout “Hosanna,” etc. My older brother was there, too. (On this blog, he’s known as Sir Toilet Drinker.) 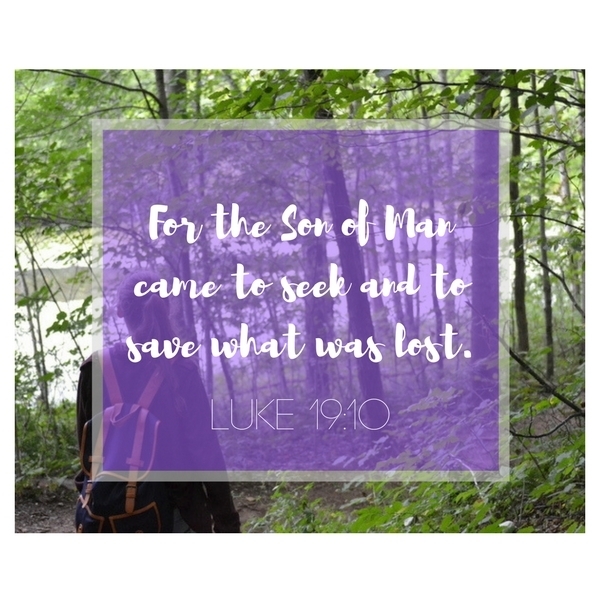 He dressed up as a Roman soldier and guarded a “prisoner” in the basement of the church. Yeah. That’s what I did yesterday. What a way to spend a Saturday!